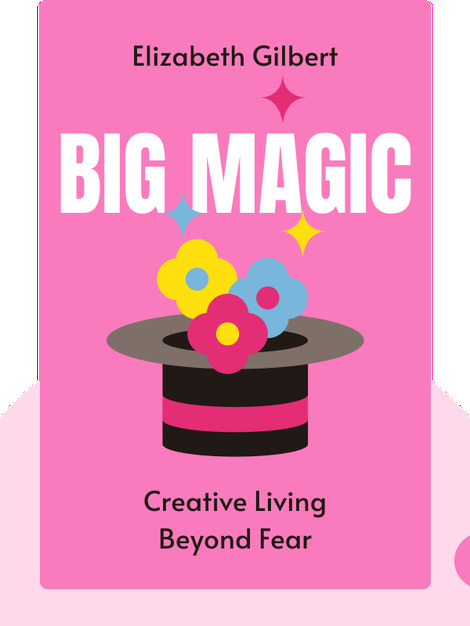 Big Magic (2015) explores what both frightens and thrills us: turning our creative ideas into reality. 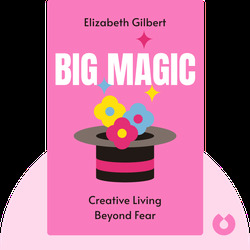 These blinks provide helpful strategies that’ll enable you to manage the fears, frustrations and blocks of creating, allowing you to channel the playfulness you need to express yourself freely. Elizabeth Gilbert is the author of the memoir and international bestseller Eat Pray Love, which was translated into over 30 languages and adapted into a film starring Julia Roberts. She was named one of the 100 most influential people in the world by Time magazine. Her latest novel, The Signature of All Things, was also a New York Times bestseller.